I am not sure where the term “a man who uses statistics is a liar” comes from, but I think if you read the following data compiled and presented by Leslie Appleton-Young, chief economist and vice president of the California Association of Realtors® (CAR®) in her analysis of the real estate market in California for 2006 you will start to think maybe these statistics are trying to tell you something. 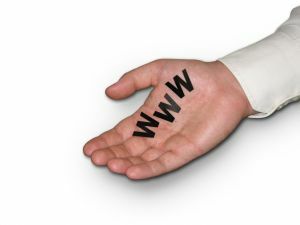 The Appleton-Young and CAR® (www.car.org) study compare some distinctions between Internet vs. Traditional buyers and the findings are powerful. The report shows undeniable trends and the preferences consumers have for the Internet approach to buying a home. So if you don’t have a web site and/or a blog and you can’t be found by people searching for homes on the Internet, you are completely “missing the boat” in the real estate business. In 2000, 28% of people said that they used the Internet as an important part of their home-buying and selection process. In 2006, 70% said they did. Internet buyers spent an average of 4.8 weeks doing research before contacting an agent; traditional buyers only 1.7 weeks. That means an Internet buyer is better prepared and twice+ as less likely to waste your time. So what are the benefits of working with buyers who use the internet? Realtors drive with their buyers less. Agents who utilize online marketing and have Internet buyers are more likely to have a repeat sale with the client. Agents selling to Internet buyers are likely to work only 2.2 weeks with a buyer before selling a property ( vs. 7.1 weeks traditionally). Agents committed to online marketing may be able to expand their market area to an average 242 mile radius of their location and remain effective due to online communication. Ms. Appleton-Young’s data also show that over 70% of people 65 and older read a daily newspaper, but only 35% of 24 year olds do. There is far more to achieving success on the internet than simply having a web site, but without one you are going to be left behind. If you do have a static web site with dated information and little content now is the time to start spending time and money on internet marketing. I have worked with a number of Realtors and published sites using templates from Ubertor and highly recommend this as a starting point. Next Post Most Expensive Property For Sale in the U.S.